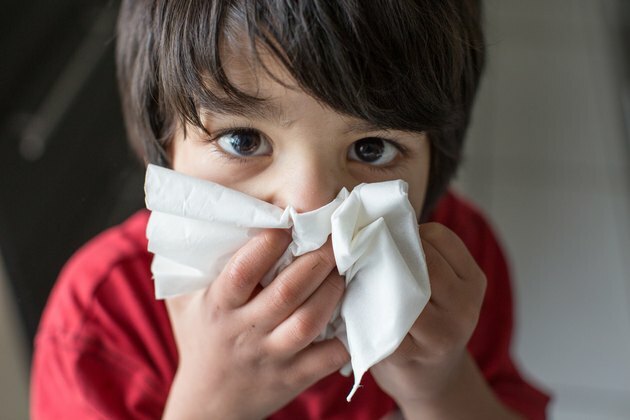 A child's cold can often be treated at home, according to HealthyChildren.org. Typically, an indication that an infant has a cold is when the baby has a runny or congested nose and the nasal mucus is generally clear at first but then becomes thicker and turns a greenish or yellowish color. Other symptoms may include a low-grade fever, coughing, sneezing, suppressed appetite, irritability and difficulty sleeping. There are two ways moistening the air can be accomplished. Use a humidifier in the infant's room at night while she is sleeping. This is especially helpful for noses that are congested because it will aid in loosening nasal secretions. Point the humidifier away from her bed to reduce risk of blankets and sheets becoming damp. Change the water and clean with a disinfectant daily to reduce risk of mold growth. Another way to help loosen her nasal congestion is sit with her while a hot shower is running and close the door. Do not put her in the shower, just sit outside of the shower while it's running. 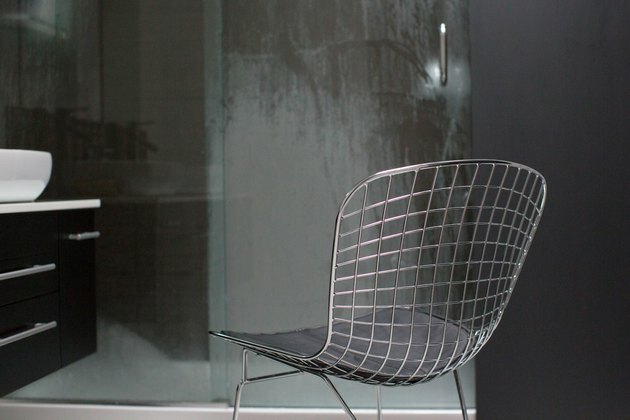 The steam from the shower works just like the mist from a humidifier. A few minutes will be effective. In addition, you should keep your infant hydrated, by offering extra fluids, suggests HealthyChildren.org. Since infants are often unable to blow their own noses, they need to have the nasal mucus suctioned out. For optimum results, use infant saline drops or use salt water before using a bulb syringe. The saline drops will help thick, dry mucus become moist and will make the process much easier and less traumatic for the baby. 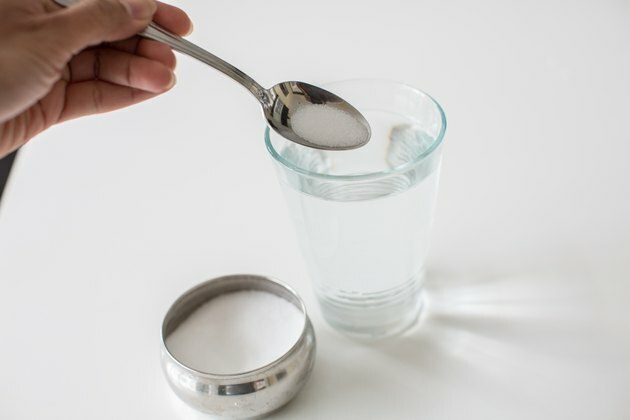 You can purchase saline drops or make your own solution of salt water by mixing one cup of warm water with 1/4 teaspoon salt until the salt completely dissolves, suggests Nationwide Children's Hospital. Insert the bulb syringe only about 1/4 inch to 1/2 inch into the nasal passages. To start, squeeze the bottom of the bulb syringe then insert it into baby's nose and release the bottom of the bulb syringe to withdraw nasal secretions. Keep a tissue nearby to dispose of the nasal mucus and repeat until her nose is clear or she is able to breathe more comfortably. Clean the bulb syringe with warm, soapy water. 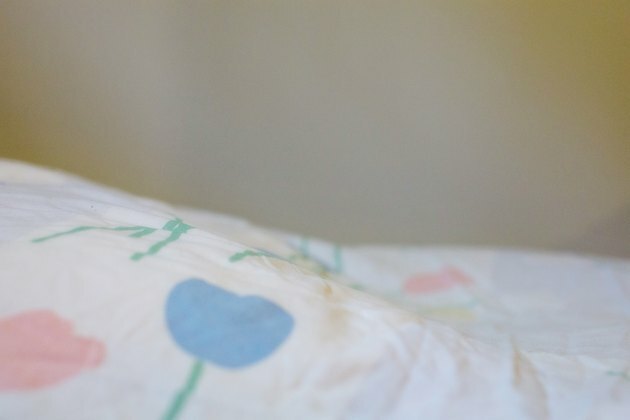 According to the National Institutes of Health, it can be beneficial for the baby to sleep with her head slightly elevated. This can be accomplished by placing a pillow underneath the top of her mattress where her head is when she sleeps. If there are no spare pillows, books also work well. If getting under her mattress isn't an option, have her sleep in her infant car seat to help keep her head elevated so breathing is easier.